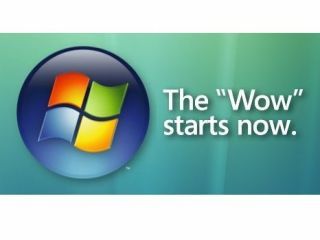 The wow starts now...but make sure you buy the right version! Buyers of Windows Vista upgrade packs will need to have Windows XP or Windows 2000 already running on their PCs before they can install the new OS, tech.co.uk has learned. This marks a change in policy for Microsoft who, until now, have insisted only that you needed an existing install CD to upgrade to a new version of the operating system. This isn't the case with Windows Vista as its upgrade keys won't work on any fresh PC installation. Instead the Vista installer checks that you have one of the older operating system already before it will proceed. The move is bound to hit the enthusiast market, but Microsoft's decision is understandable given the widespread abuse of the upgrade system previously. Naturally, there are ways around it - you could, for example, simply install a version of Windows 2000 first and then install your Vista upgrade. However there is no problem with upgrading from one Vista version to another - something that has been erroneously reported elsewhere. Our brand new sister title, Windows Vista: The Official Magazine , is also beginning its life when Vista launches in the UK. The debut issue will be on sale from Wednesday 31st.